Our price:£ 51.00/pcs. tax incl. 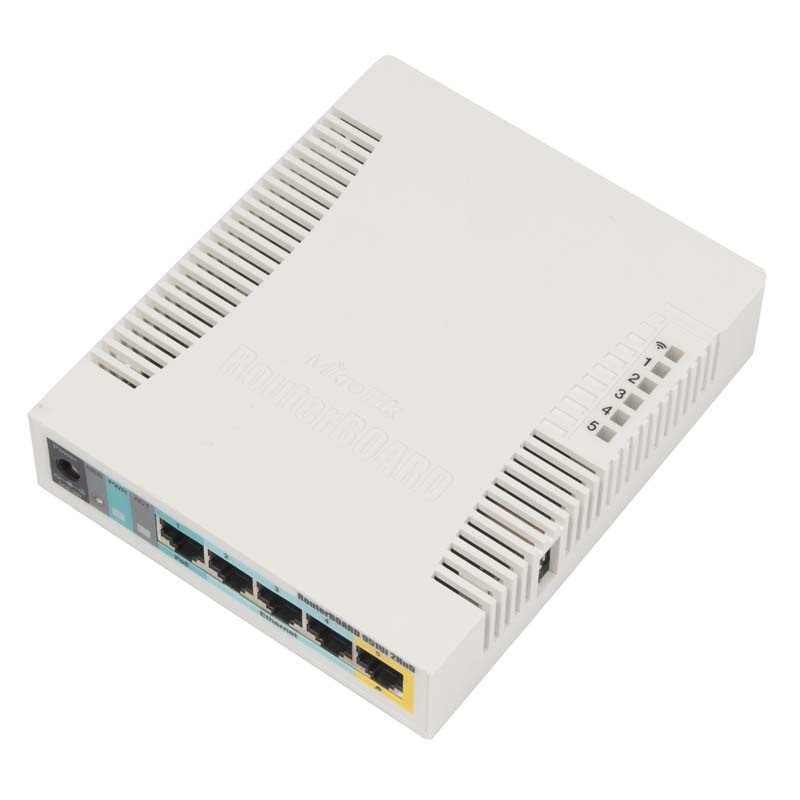 The RB951Ui-2HnD has five Ethernet ports, one USB 2.0 port and a high power 2.4GHz 1000mW 802.11b/g/n wireless AP with antennas built in. It has a 600MHz CPU,128MB of RAM and PoE output function for port #5 - it can power other PoE capable devices with the same voltage as applied to the unit. Maximum load on the port is 500mA. The RB951Ui-2HnD is a wireless SOHO AP with a new generation Atheros CPU and more processing power..